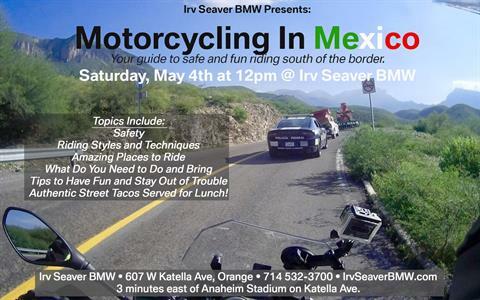 Overview: Join world-traveler Jim Foreman for an exciting and informative conversation about riding in Mexico. Learn the truth and reality of Mexico out of the haze of fear and political blustering. Discover reasons why Mexico may be the best way to begin as a world traveler. Each year, Jim leads dozens of riders into all parts of Mexico. Authentic Street Tacos will be served up for lunch. The event is free and open to the public. Please invite your friends. Do ask Jim what happened immediately after this photo was snapped. It's an awesome story!